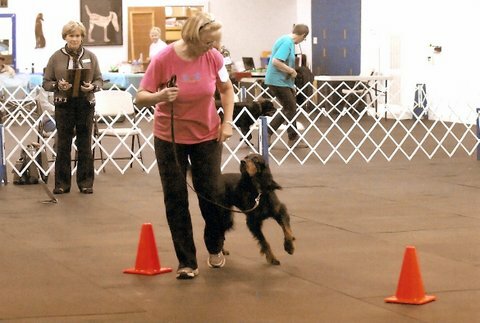 In the past couple of days we’ve heard from two Agility competitors, Susan Nelson and Linda Stebbins who both mentioned using clicker training as a core beginning for the more advanced work we see in Agility. If you’re new to dog training the phrase clicker training probably sounds like a foreign language to you, so we thought it might be good to share some resource sites with you where you can learn more about this positive training method and if you want you could start putting it to use immediately to train new puppies or old dogs new tricks! By clicking on this title, Gary Wilkes – Click & Treat you will be taken directly to his website which you will find loaded with information, training tools and other helpful links. 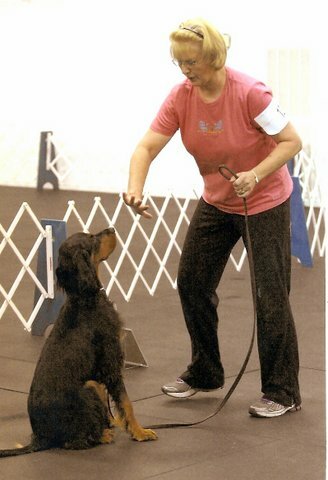 A second website we found that was loaded with great information is Karen Pryor Dog Training. “With years’ worth of wisdom from Karen Pryor and a vast array of experts, our library is the largest resource of clicker training information you’ll find anywhere online. If you simply want to see a video to get a taste of this training method you could click on ‘clicker’ in the title that follows to watch Clicker Training Basics and if that’s not enough clicking for you yet, you could also click to view How to teach your dog not to jump up! Well that’s about all the clicks I can handle for one night, hope this helps and don’t forget to leave your comments, suggestions, additions etc. in the comment section below. 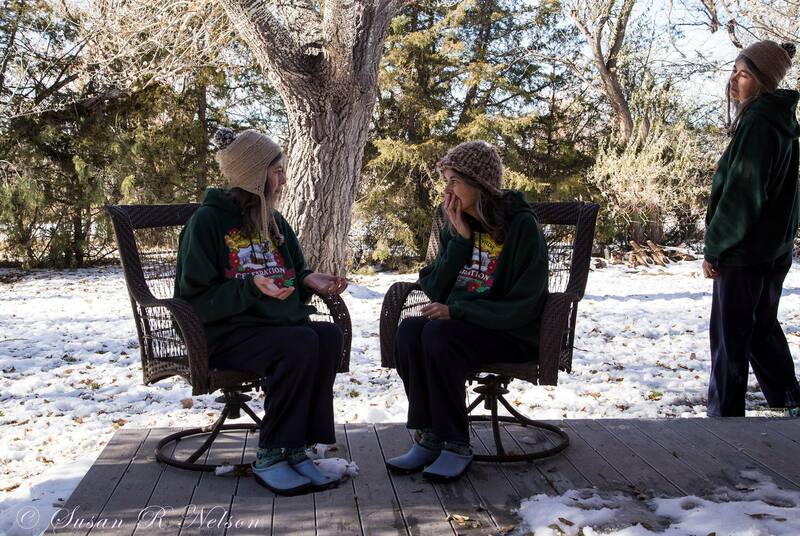 We love to see you sharing with each other! UPDATE: Please read the comment section of this article by clicking on Comments under the title, Carole Raschella wrote to provide insight about clicker training that we found enlightening . Many thanks to Carole who added the Karen Pryor Clicker Training Expos to our list as a wonderful source for the serious trainer. You may follow this link to more information by doing the infamous click here! 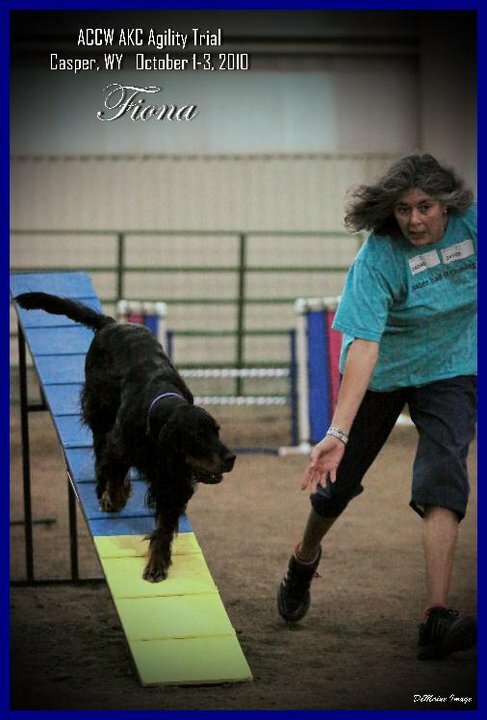 Would you all join me please and give Susan Nelson, Casper WY a huge round of applause for sharing her experience with Gordon Setters in Agility! We asked Susan to share with us and she has been kind enough to respond to our request. We believe you’ll truly enjoy Susan’s story. 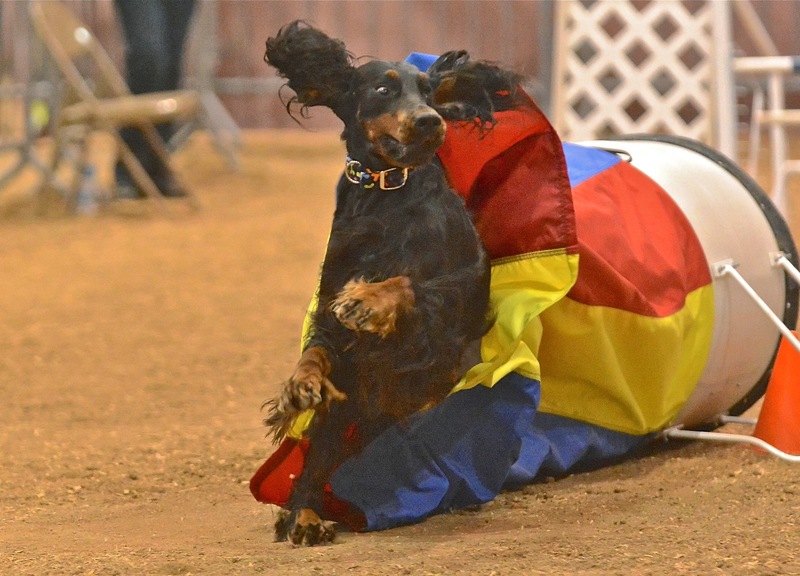 “I have to admit, I’ve not done any agility in a few years and even longer for Obedience. Most of my time now is spent in conformation with Blue and Layla. I’m in the process of selling all my equipment, my desire for agility has faded. My girl, Lillan, was my star and the love of my life. When she died, part of me died also. I stopped running agility with her daughter, Keeley and shortly after, Pippi was retired, she was getting too old. I did start with Fiona (granddaughter), and she did OK, but she wasn’t Lillan. Now, I don’t want to run again. I hope, once Layla finishes (only needs two points), and when her brain gets here, I’d like to try Obedience. It’s been a LONG time since I trained that.. but figure, I’m retired so have some time. Even if we never get into the ring until she’s 10! What Performance Events have you or do you participate in? I used to do Obedience and Agility. I hope to do Obedience with our youngest Gordon, Layla. I did take Pippi into the Rally ring and got her title in three days. Had no idea what I was doing, though. She was working towards her CDX, so most of it seemed like fun to us. Could you share a brief history of when you started to train and why you choose the events that you are choosing now? 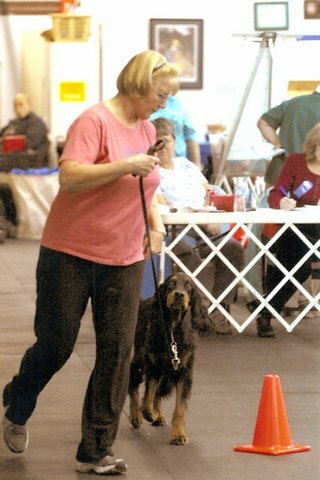 When I started training back in 1999, it was basic obedience with our first Gordon, Pippi who earned CD AX AXJ RA titles. 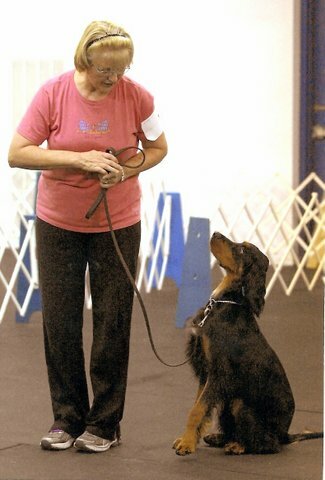 As we progressed through these classes, I decided to try to do Obedience with her. There is something about watching Obedience competition, I love it. About the same time, a group of friends in town heard of this thing called ‘agility’. None of us knew what it was, but we got together, and ‘played’ at it. Eventually, we decided to enter competitions. 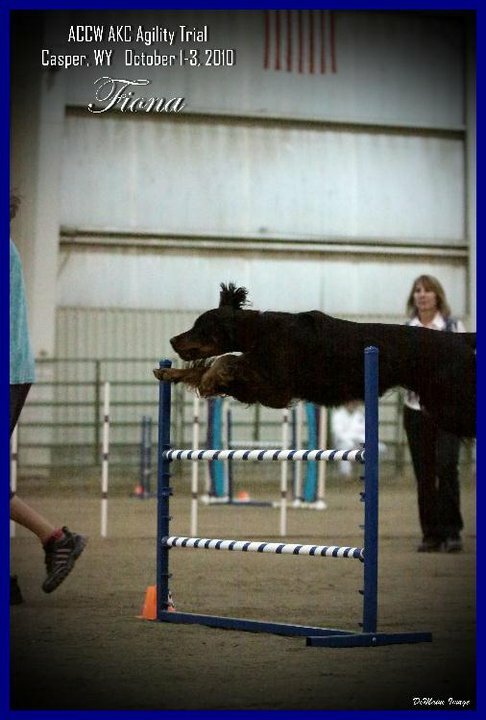 When I entered my first agility trial, I entered 600 miles away from home so no one I knew could watch us. It wasn’t ‘pretty’! Head strong! With the three girls I did work agility with, once they learned it, I found out I couldn’t keep practicing it. They decided they knew it, and would wander off. They are hunters, and if I wasn’t on top of them all the time, they would go into hunt mode. And, they did it in the ring many a time. 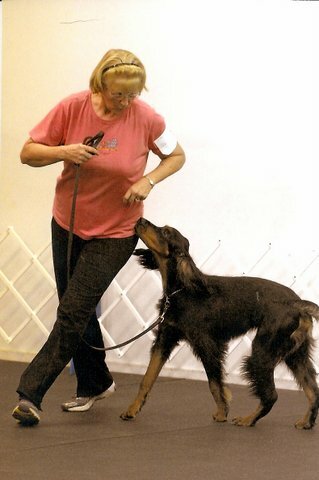 I did find out, Gordon Setters do very will with clicker training! They are independent and smart… makes for a tough dog to train. Find someone who gives lessons. We live in an area where there are no training facilities. The closest is 4 hours away. Clicker Training! Work for 5 min at a time. Mine loved treats and were not toy motivated. If possible, I would try to get a toy motivated Gordon. Someone who understands the Sporting Dog. These dogs are smart, but they have a mind of their own. People with Border Collies, Aussies, they have NO idea how to work with a hunting dog. If possible, find workshops to attend, local clubs (if there are any) put them on a few times a year. Ask questions at trials, go and watch. Find a person who is willing to talk to you. You can learn a lot that way. Would you recommend any particular books or video training materials? I never used many books–the ones I did, I don’t remember. I gave them away to friends. I found out more by following people around the agility ring during walk through. As we walked the course to learn it, if I was unsure of something, I’d just follow someone who knew how to do it. 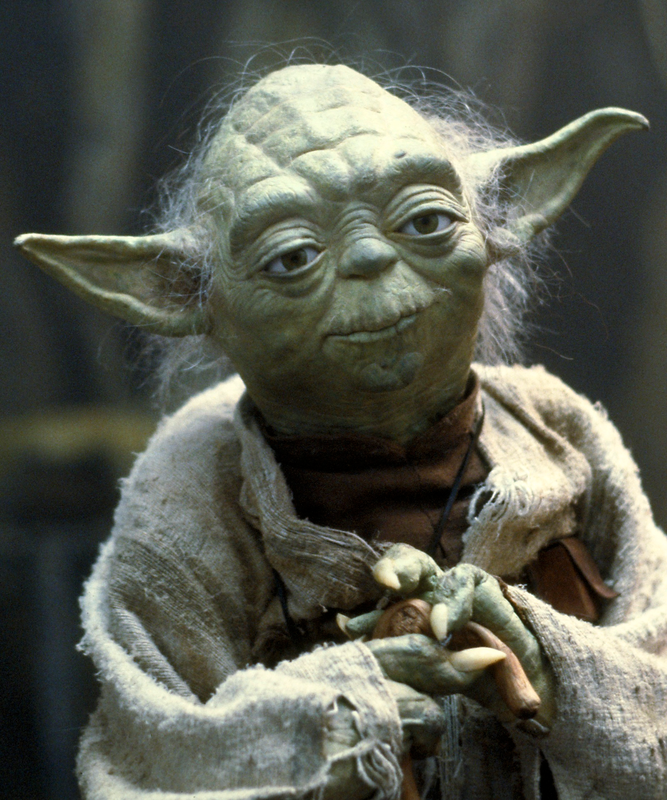 I learned more by watching than anything. Any recommendations for internet resources like blogs or websites? They are smart and very independent. They are also quick learners. They can also be stubborn. One thing I learned back with Lillan (and the other two)–once we practiced a sequence, and I went to do it again, Lillan would just take off and run it. They learn it so fast… so I had to shake things up. If we went right to a jump, then the next time, I’d go left. Even then, it was hard to keep them focused on what I wanted to do. Pippi would start great, and then go into hunt mode, if she got a scent of anything, off she’d go. Many a time, I excused us to go and get her! Click the title of this video Susan and Pippi at the Glory Run for Retired Agility Dogs to me it is a must see. 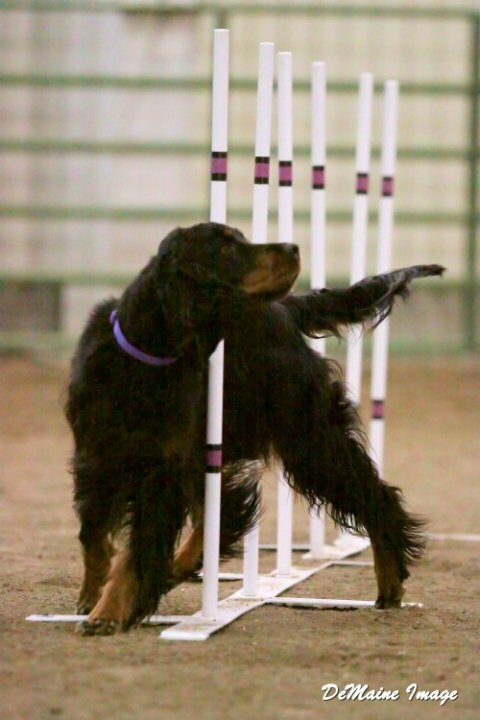 Susan has uploaded several YouTube videos of her Gordon Setters running in Agility, another fun run to watch is called Fiona Can Fly and fly she certainly does.